The eagerly anticipated, deadly prequel to the number one bestselling Alex Rider series. 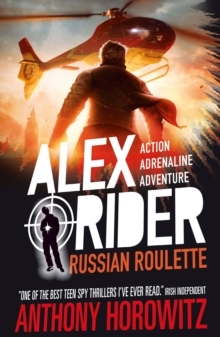 In the prequel to the number one bestselling Alex Rider series by Anthony Horowitz, contract killer Yassen Gregorovich is given orders to kill Alex. But Yassen knows a secret from the past that connects him to the fourteen-year-old spy. What is it that makes one of them choose to do evil, and what does it take to turn him into a killer?